Mission: Gaden Samten Ling Tibetan Buddhist Meditation Society aspires to evoke positive change in the human condition. We encourage individuals to develop compassion, tolerance, and loving kindness for greater peace and harmony in society. 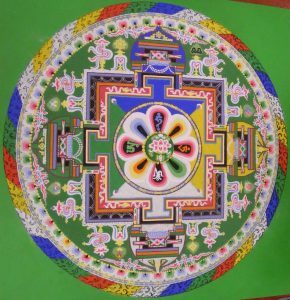 We support this through instruction, study, and practice of Tibetan Buddhist philosophy and meditation under the guidance of a qualified spiritual teacher. Vision: Gaden Samten Ling Tibetan Buddhist Meditation Society preserves the cultural traditions of Tibet, the essence of which is Tibetan Buddhism. Drawing our strength from the Gelugpa lineage, we offer an oasis of serenity, joy and harmony inspiring individuals to cultivate inner wisdom and compassion in the ultimate quest for enlightenment.